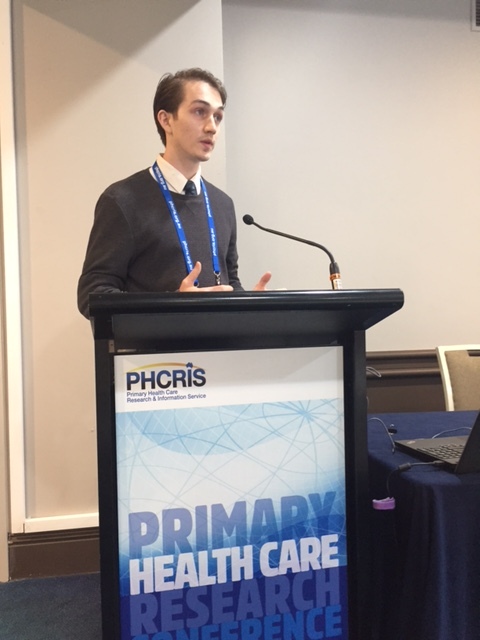 Final year medical students Jenni Lyne, Declan McGavin and Jesse Hunter were invited to present their student research projects in a symposium at the recent Primary Health Care Research conference in Brisbane. Together with their supervisor, Prof Meredith Temple-Smith and co-supervisor Dr Sue Malta from SPGH, they discussed their role in the Sexual Health and Aging, Perspective and Education (SHAPE) study of the sexual health of older Australians. They had each examined this issue from the perspective of a different health practitioner - GPs, Practice nurses, Practice managers and sexual health specialists and GPS who use digital health interventions.